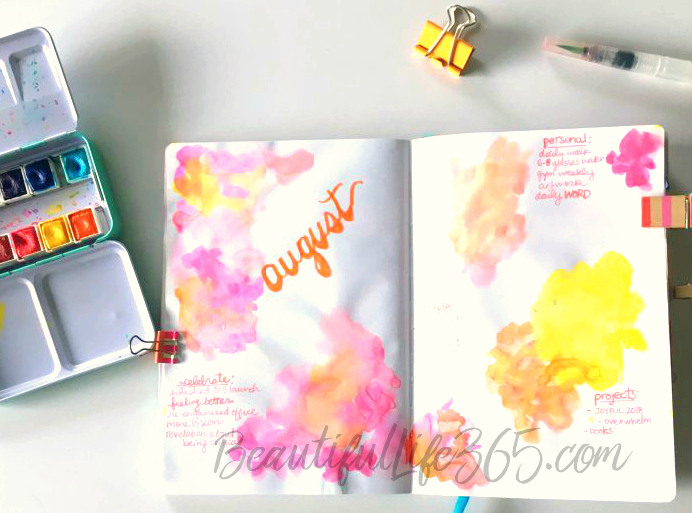 I’m a little late in posting this thanks to Hurricane Irma, but today I’m showing you my bullet journal spreads for the month of August. 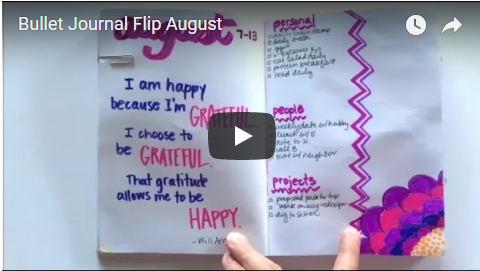 My vision board for August is a little simpler than my July Bullet Journal Monthly Vision Board, which goes along with the season I’m in of trying to simplify life and business. 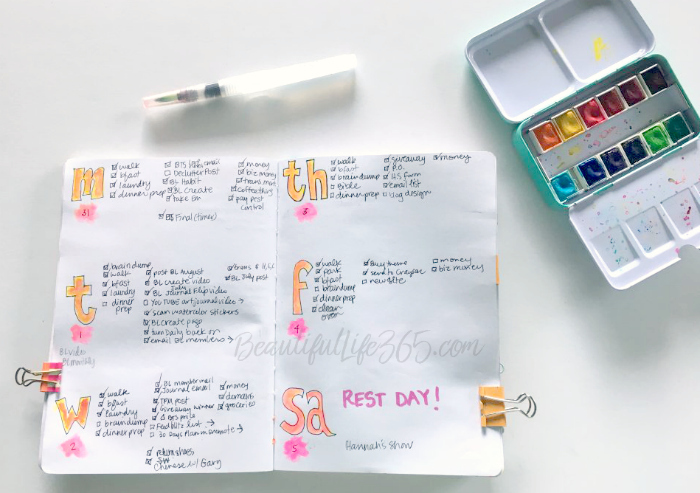 My goals for this month were basically take care of my health on a daily basis, continue decluttering our home and and continue two work projects. I included a little “celebrate” section to remember all of the good that happened in the previous month. By the way, I’m just loving creating splotches of watercolor on the page and watching them blend together. I continued the habit I began last month of creating a weekly preview spread before I begin my daily pages each week. 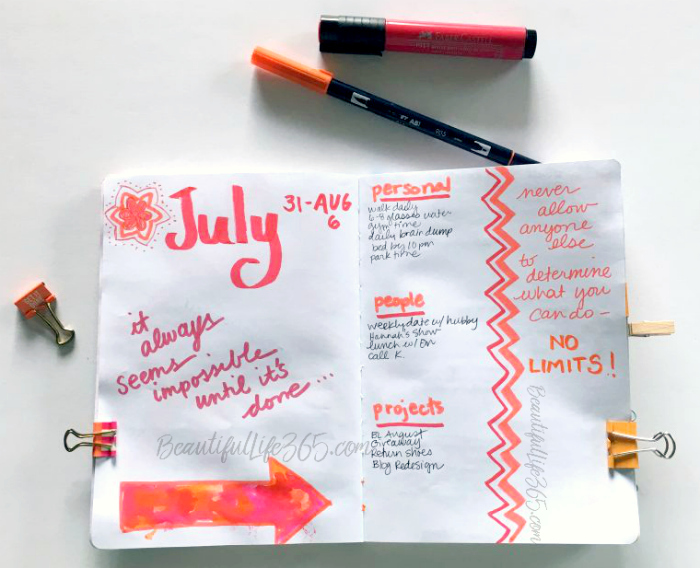 This format is what I use in the Joyful Life Planner, and it’s so helpful to bring my annual and monthly goals into what I’m doing each week. 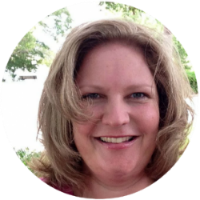 Every day I make a list of what absolutely needs to be done that day, focusing on my Top 3 most important tasks. I’m still loving the days of the week outlined in black and filled in with watercolor. You know I can’t just do traditional bullet journaling without adding my own creative flare. 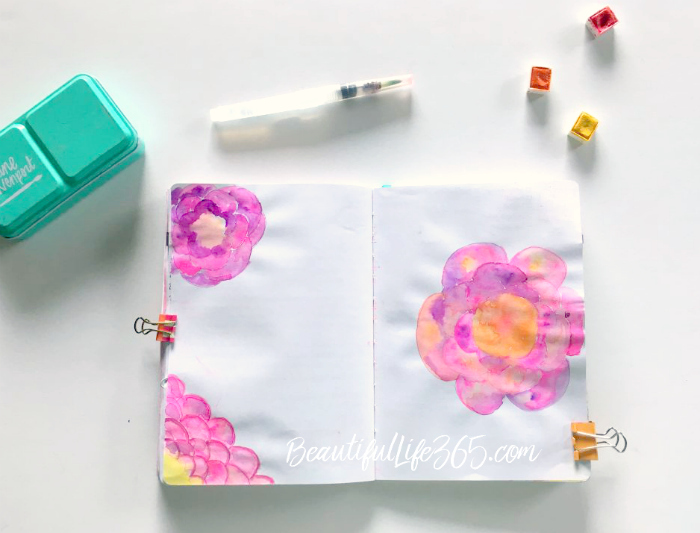 I’ve been quite obsessed lately with flowers so you’ll see a lot of them in this month’s journal. I created these flowers with watercolor. 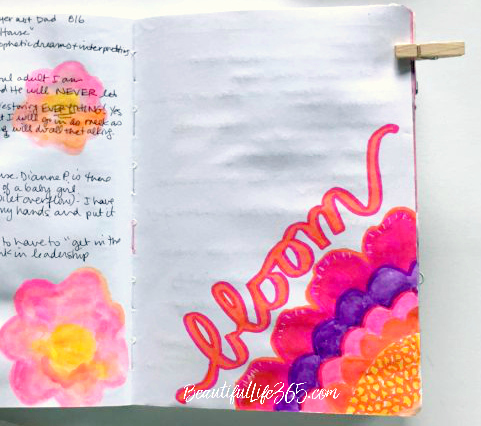 And the flower on the right was created with my favorite Tombow Markers. 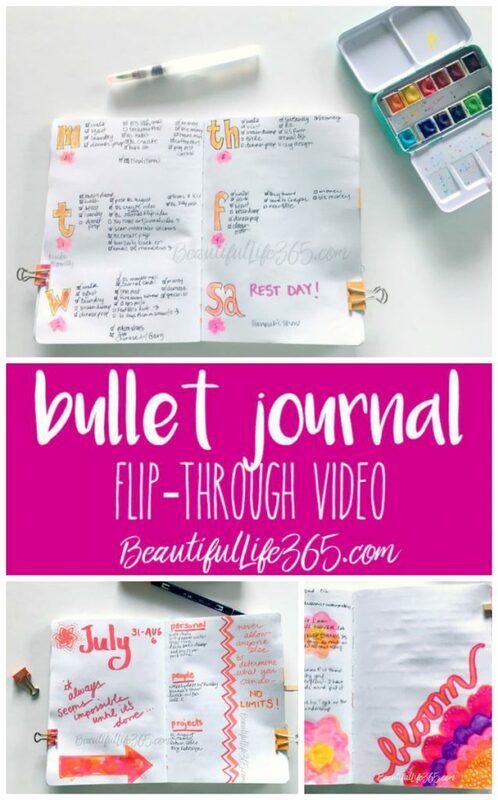 Read How to Organize With a Bullet Journal HERE.